Mohamad Jonit Adnan and Sri Idayu Ghazali, were undergoing divorce proceedings, but failed to see the resolution through as the former murdered his wife on this fateful Saturday. Neighbors reported hearing loud quarrelling from the couple's flat, followed by loud piercing screams, presumably from the deceased. Sri Idayu's sister, who was living in the third-floor unit beside hers, called for a police and ambulance, but it proved futile as her sister was pronounced dead at 4.30am at Khoo Teck Puat Hospital. It remains unclear how the accused carried out his murder. On this fateful day, Shawn Ignatius Rodrigues had his wrists and ankles died before being hacked to death. The 26-year-old was allegedly stalking his killer, reportedly named Ryan, whom they had known for years, and the duo even attended the same church. However, the ex-altar boy had anything but a peaceful relationship with his killer. He would allegedly show up at the accused's house at weird timings, damaging his circuit breakers, pranked call his wife, strangled his female neighbor and even attacking a 75-year-old elderly lady. The issue was so bad, it forced Minister for Home Affairs & Minister for Law K Shanmugam to make an appeal in a case for outrage of modesty for the killer's family, on top of three police reports lodged for public nuisance caused by the victim. A Magistrate complaint was also made by the killer's family, and the two were undergoing mediation sessions. However, no real progress was being made, and on the 7th of July, 2016, a frustrated Ryan sent Mr Rodrigues to meet his maker. In this gruesome affair, 34-year-old Woo Mui Mee slashed Mr William Wong with a paper cutter after the latter cut off the main power supply to her rented unit. The deceased was found dead after a tip-off following a heated argument in their flat that lasted nearly three hours. Blood stains could be observed in the victim's flat and the blood trail went on for over 10m. Neighbors described Wong as a "cheerful man who lived harmoniously with them", and the affable man just finished dinner with his wife earlier. The crime scene extended to three floors and the area was cordoned off for almost seven hours. UPDATE: Woo was only jailed for three years. Wang Xingxing, a 25-year-old manufacturing operator, was having an affair with a female factory assembler five years his senior, Madam Pu Feiyan. However, the Chinese nationals were constantly quarrelling in their rented flat, so it was not a surprise the latter wanted to leave the abusive relationship. Upon hearing Pu's proposal of ending their relationship, Wang strangled her before jumping to his death. The police later discovered a suicide note written by the former admitting to his crime. In this tragic case, 49-year-old P. Mageswaran strangled the mother of his former employer to death, after she refused to lend him money to pay for a flat his wife has bought in Malaysia. Kanne Lactmy just finished brushing her teeth when she saw Mageswaran stealing nearly $10,000 worth of her jewellery. She threatened to call for help and the accused lost it, knocking her to the floor before choking and smothering her. He then threw away his jacket and returned home to Johor. 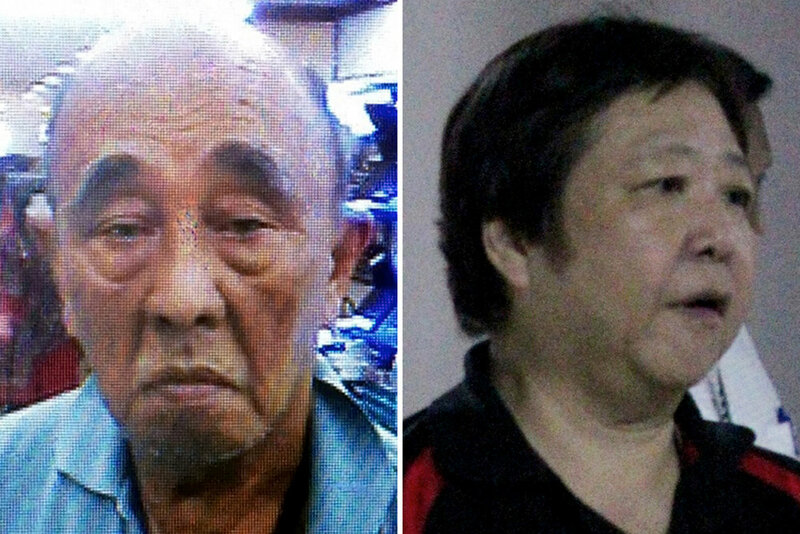 He pawned Mdm Lactmy's loot for about S$8,500 and threw away the pawn tickets. A neighbor's domestic worker found her lying on her bedroom floor and called for help. Paramedics couldn't detect a pulse, and she was subsequently pronounced dead in the hospital at 1.30pm. In one of the most tragic and biggest news event in 2008, Wang Zhijian single-handedly murdered his lover, Zhang Meng, her daughter, and one of his flatmates. The Chinese national also went after 15-year-old Ms Li Meilin, the daughter of the latter, but she miraculously survived his repeated slashings. The complicated backstory begins at a brokerage firm in Tianjin, China, where the soon-to-be couple met via a colleague. Wang was married, but divorced with his wife after an "incompatible" relationship. Zhang Meng decided to hit him up, and they soon met frequently as Wang poured his heart out to the former about his ex-wife. However, she eventually revealed that she was married. Her angry husband called Wang over and asked Zhang to choose between the both of them. She sucker-punched her husband and chose Wang instead. Her family wasn't the most approving of her decision, and they began to harass Wang at his workplace. Unable to deal with the harassment, he opted for an early retirement and received a RMB400,000 compensation package. In the next three months, he splurged extensively on branded clothes and expensive meals for Zhang. They eventually moved in with her daughter, Feng Jianyu, but broke up a couple of times along the way. Feng got an opportunity to study in Singapore, and Wang visited her and her mother on social passes when they were on good terms. Things weren't rosy, however. Wang claims he was subjected to "bizarre and humiliating treatment", having to financially support his lover's lavish lifestyle and clean up after them, while he had to made do with scraps and was 'help captive naked in a bedroom' for his efforts. He was forced to defecate and urinate into plastic bags and newspapers, but dare not retaliate due to fear of harsher reprisals from Zhang. "She might bite me," exclaims Wang during trial. Frustrated, he went back to China, but Feng was being transferred to another school and Wang requested for his help in the transition. Wang withdrew with nearly his entire live savings and returned reluctantly. The 48-year-old later elaborated that he spent over $100 on crabs each time for Zhang and her daughter, and was harshly insulted when he couldn't afford them. Unable to find a way to deal with this masochistic relationship, Zhang's final comments about how Wang was "produced by dogs and donkeys" proved to be the last straw. An argument broke out and the couple quarrelled for over an hour, before Zhang decided to hit the sack at 9pm. Wang, who was naked, laid down on the mattress in the same room but could not fall asleep. He claimed to be in a daze. According to him, "he couldn't breathe (and his) whole body was trembling." He felt a sense of unjust - how Zhang was constantly spending his money but failed to be faithful to him. Wang went to the kitchen to cool down, but returned with a knife. He closed the bedroom door and began to stab Zhang. Feng heard the commotion and stood at the door, and a few moments later, she was stabbed by Wang. According to reports, the mother-daughter duo suffered a total of 98 stab and slash wounds. Following that, he went to the kitchen to retrieve a second weapon, eventually settling for a chopper. Wang then went into another bedroom and set his sights on Yang Jie and her daughter, Li Meilin, another mother-daughter pair. Yang managed to escape, but Wang was mercilessly slashing. She ran into the kitchen toilet after a valiant fightback, but the latter managed to hack it down and continue his assault. He paused for unknown reasons, but resumed stabbing her in the lower back, right ear and back of the neck after a few minutes. She was eventually rescued by police officers. However, her mother, who tried to escape through the window, gripping onto the laundry pole holders for dear life, was not so lucky as Wang slashed her fingers and she promptly crashed six storeys to the ground. The Yishun Dream is a website that is built with limited resources and manpower. If you spot any errors, be it factual or grammatical, or wish to add any details, do kindly let us know by dropping us a message via Hello@TheYishunDream.com.